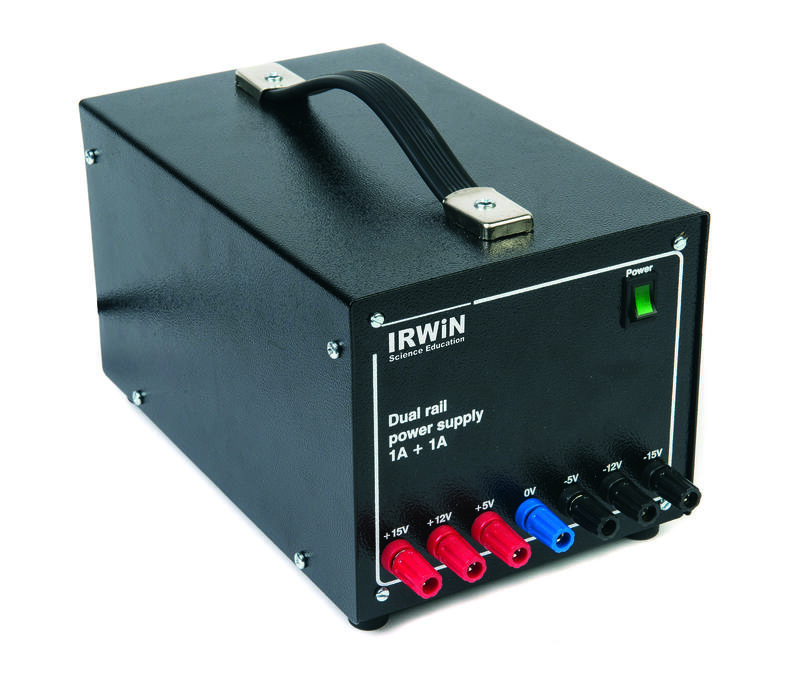 A versatile dual rail regulated power supply offering twin rails of 5, 6, 9, 12 and 15V dc at 1A per rail. May also be used as a single rail supply giving 5, 6, 9, 10, 12, 15, 18, 24 and 30V at 1A. Automatic short circuit overload protection. Manufactured in the UK with 5 years warranty.